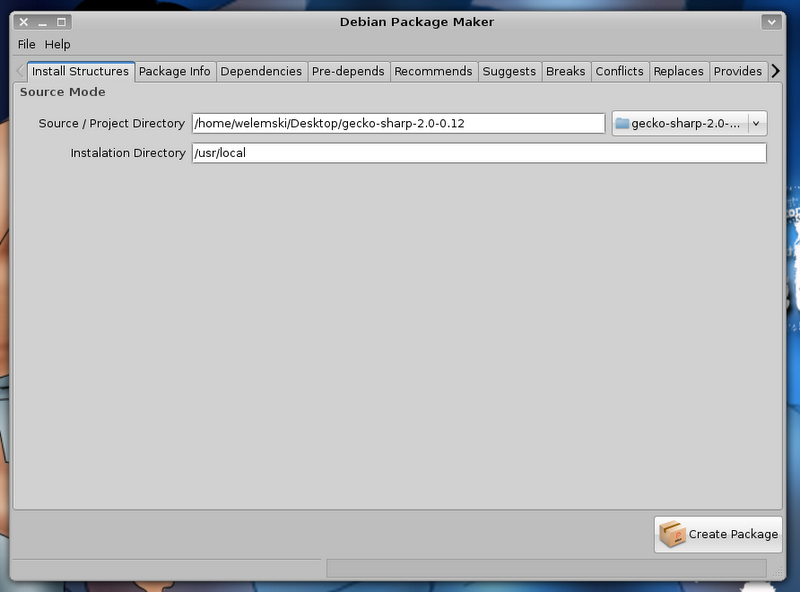 DebianPackageMaker is a simple user interface/tool to make a debian package easier and straightforward to use and deploy your linux application to any debian based distro. o Manually specify the installation directory and the files to be installed in the target installation directory. 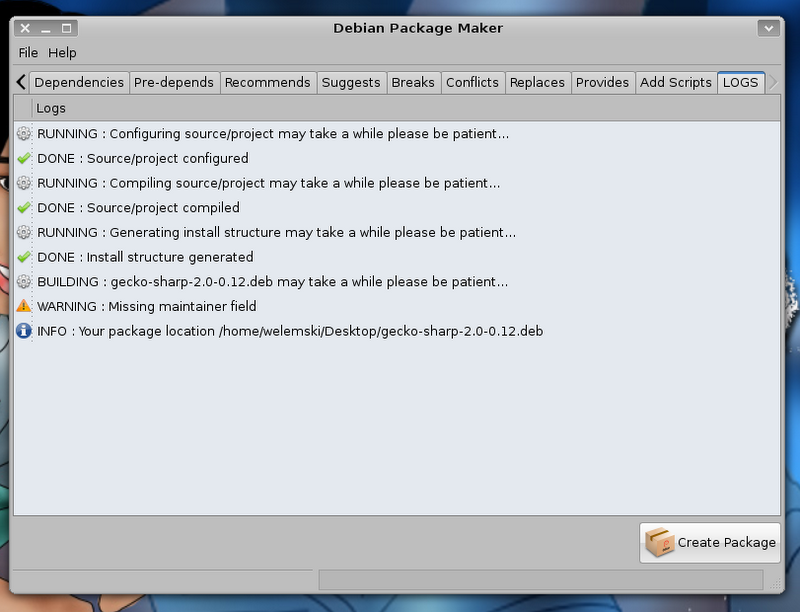 o Debian Package Maker will configure the source for you, compile them and then build a package using the target rules. o configure/autogen scripts and Makefile/rules is required for DPM to automate the whole process for you. Provides user interface for package information that will be used as control file to create a debian based package. Wow! I think this is what so maaaany of us non-developer Linux users have been looking for! Now using Linux will be even easier, and even easier to use than getting the spring in through closed windows. Now if it would only install and run on Ubuntu 9.10….